You have to give Floyd Mayweather credit, he always has a way of shaking up the sport of boxing. Just recently it was revealed, during a press conference in Tokyo, that Mayweather has signed a deal with Japanese mixed martial arts promotions company RIZIN Fighting Federation, and he will be fighting MMA/Kickboxing superstar Tenshin Nasukawa on New Year’s Eve (December 31st) in the city of Saitama just outside of Tokyo, Japan. The fight will reportedly be held at the RIZIN 14 event. Wow, shocking news. From Mayweather first announcing that he would be returning to face off with Manny Pacquiao, to later claiming he had his sights set of facing MMA superstar Khabib Nurmagomedov, this is truly a curve ball that very few could have expected. Perhaps the writing was on the way all along though, as Mayweather has been seen in recent days in the city of Tokyo enjoying himself. It’s no secret that Mayweather is looking to expand his TMT (The Money Team ) franchise outside of America, and a move like facing the 20-year old Nasukawa surely would be great business. It would also be good business for online casinos for us players, who will look to gamble on what could be a big night for the sport of boxing. No details exactly on what weight Mayweather would be fighting at, or what kind or rules he would be in place when he faces his younger foe next month. One thing is for sure, when going to the social media handles of Nasukawa, you can tell he is a tremendous kicker with great athleticism. 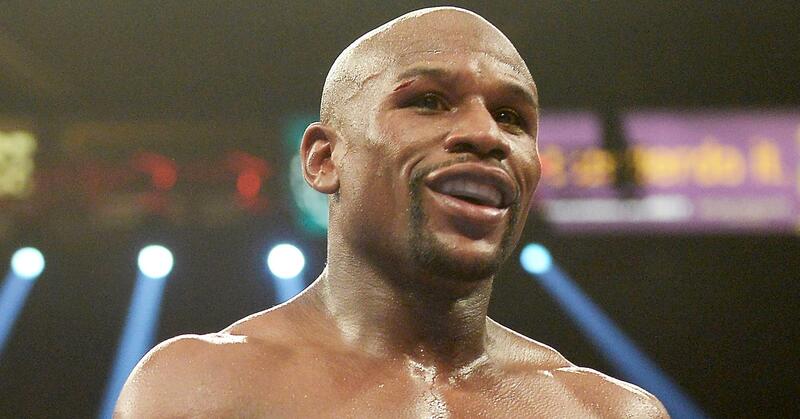 So Mayweather might want to cater the rules to more of a boxing match in his favor. Nasukawa (27-0) has become a huge fighter in Japan with a great following, so there is no doubt many eyes will be fixed on this fight when it happens. What we can learn from this fight taking place is that Mayweather is stepping outside of his comfort zone by fighting outside of Las Vegas for the first time in several years, as well as fighting on a date he is not accustomed to. It appears to be all about Mayweather’s business perspective, as this surely will be one of the most lucrative fights of his illustrious career. Mayweather was seen recently in the press going back and forth with Golden Boy Promotions president Oscar Da La Hoya over many issues, especially taking shots at Canelo Alvarez recently signing an 11-fight, $365 million deal with the DAZN streaming service. But it looks like Mayweather is once again riding high with this announcement and will be bringing in much more money of his own. One has to wonder what 2019 has in store for the Grand Rapids fighter? Does Mikey Garcia have a chance vs. Errol Spence Jr.?